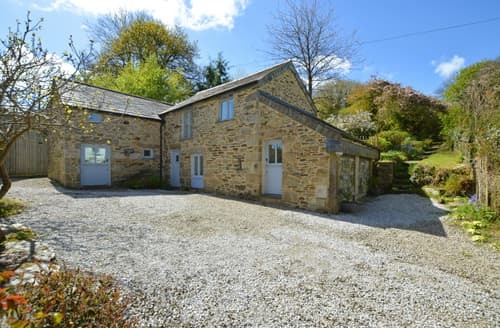 What our customers are saying about our Holiday Cottages In Michaelstow To Rent. "The photos really did not do this place justice! We had a fantastic holiday - perfect settings, and super comfortable accommodation. We took our mum's with us - and the downstairs was perfect for them - brilliant twin bedroom was "L" shaped, and almost like having two single rooms, walk in shower, and easy access to the kitchen for their early morning cups of tea (Even had a sofa which was great when we were cooking they kept us company). When we were all upstairs - having another bathroom meant not having to run up and down to the loo, and the living room was awesome! On one night we had family come to visit us (They live locally and it was great to catch up) - but even with 11 of us upstairs the room was spacious and really companionable. The wood burner is not the usual "twig burner" that many holiday lets have to offer - but made the fireplace the real focal point of the room. Outside the paddock was brilliant for tiring out Milton our Labrador, and the front porch / rear scullery were great for wiping muddy paws (yes - of course it rained!) The owners were lovely - though we hardly saw them, and they made us feel really welcome. Only downside - and it was a big one - having to leave this wonderful cottage to come home. See you next year! 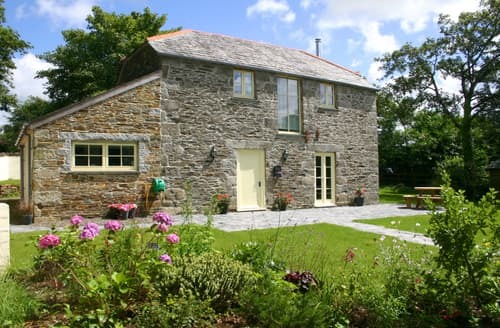 Dave & Gwenda"
"We had a fantastic holiday - perfect settings, and super comfortable accommodation. We took our mum's with us - and the downstairs was perfect for them - brilliant twin bedroom was "L" shaped, and almost like having two single rooms, walk in shower, and easy access to the kitchen for their early morning cups of tea (Even had a sofa which was great when we were cooking they kept us company). When we were all upstairs - having another bathroom meant not having to run up and down to the loo, and the living room was awesome! On one night we had family come to visit us (They live locally and it was great to catch up) - but even with 11 of us upstairs the room was spacious and really companionable. The wood burner is not the usual "twig burner" that many holiday lets have to offer - but made the fireplace the real focal point of the room. Outside the paddock was brilliant for tiring out Milton our Labrador, and the front porch / rear scullery were great for wiping muddy paws (yes - of course it rained!) The owners were lovely - though we hardly saw them, and they made us feel really welcome. 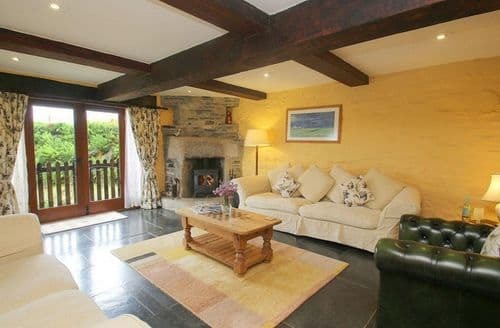 Only downside - and it was a big one - having to leave this wonderful cottage to come home. See you next year! Dave & Gwenda"
"The dog facilities where good with good enclosed areas and the pool was 5 star. The area was not great as it seemed very run down in areas and was not picturesque. local attractions and amenities where not great at all and overpriced, with one take away and a grocery store in the local village. We would definatly not be returning to S82430. The only thing I could recomend is Heligan gardens although 2 days would be good to get round and the Eden project was also good.The location was ideal, we didn't have to travel more than half an hour the entire week. There is so much to do within such a short distance. The cottage itself is gorgeous. Extremely clean throughout and has everything you could possibly need The swimming pool is amazing. Big windows looking out onto the picturesque hills and woods gives you a feeling of serenity. There are endless walks for you and your dogs which take you through these woods, hills, fields and rivers. 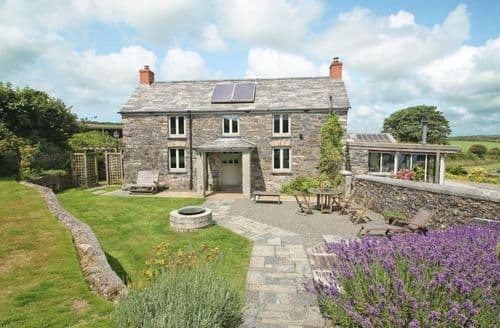 I genuinely cannot speak highly enough of this cottage. 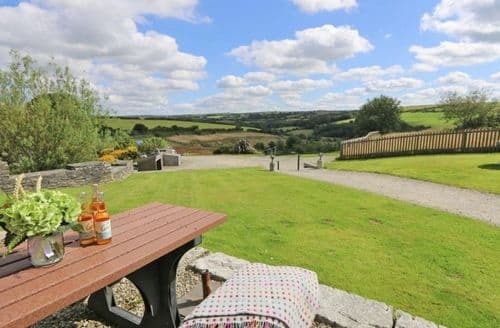 Truly perfect!Great base to explore North Cornwall fromThe location is beautiful and our dogs and children love it here!!" "We stayed here at the end of may - for 6 nights. From the moment we arrived ( my wife, our golden retriver and myself) until our departure we felt completely at home and made most welcome - Anthony our host was charming and very helpful The chapel was absolutely immaculate and comfortable The farm the chapel is on is lovelly and peaceful - very dog friendly and quite but placed perfectly for visiting all the local attractions We enjoyed it so much we are returning there in a couple of months time - but staying in the larger barn - the other accomodation on this farm Just because Sykes had an offer on this property Cant fault this place for relaxing, comfortable and quite break Thank you Anthony and your teamA lovelly chapel in tranquil settings So welcoming and dog friendly I liked it so much we have booked to return in two months time We will be going to their barn which is slighly bigger Recommend this if your looking for a quite base in CornwallWould love to have spent more time here. Picture window amazing, wild life in the mornings and amazing stars at night. Could not fault anything." 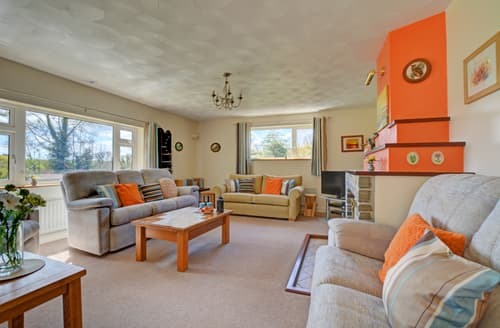 "For families travelling with their dogs, it couldn’t get any better; with a large enclosed garden at the back and acres and acres of fields (livestock free! ), woods and a river to explore at the front! Our dog, Buster, was in his element, being able to safely run free and paddle in the water. For the children, the added bonus of the swimming pool (which is hotel standard) was the perfect way to end a day of exploring Cornwall. 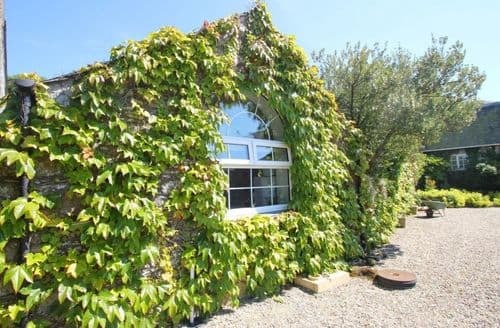 The property itself is beautiful, with large thoughtfully laid out rooms, and is very well equipped. The beautiful sun room has the most amazing views over Helsbury Park and the surrounds valley. 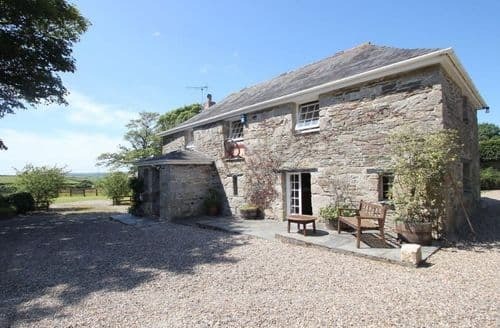 The location is ideal, set in rural seclusion, but being just minutes from the amenities of Camelford (and it’s fantastic fish and chip shop!). We were so close to many of Cornwall’s beautiful beaches, making days out very easy; Trebarwith Strand being our absolute favourite! Thank you for a wonderful holiday, we’re already planning our return!"